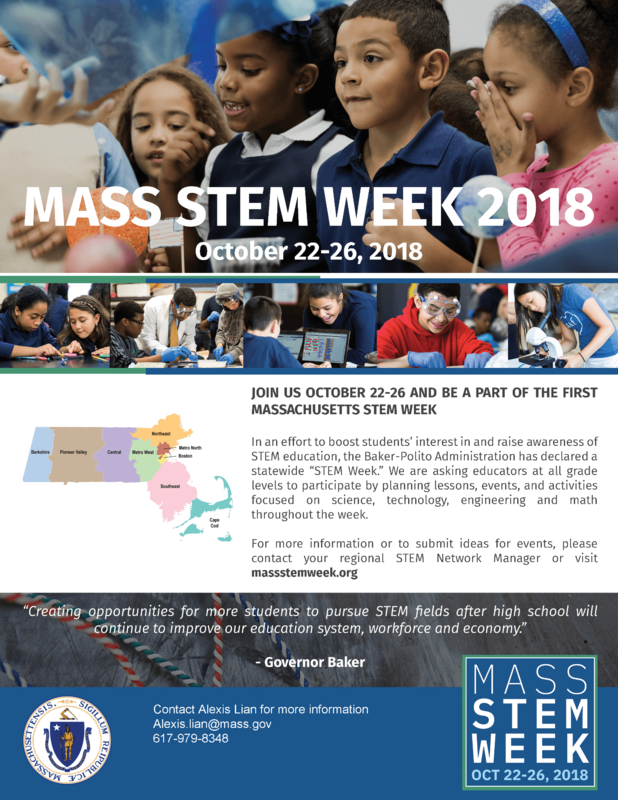 STEM Week is an inaugural initiative by the Baker-Polito administration to introduce students from pre-K through high school and postsecondary institutions to science, technology, engineering and mathematics throughout Massachusetts. The Central MA STEM Network is supporting this important mission with the goal of introducing STEM to students in all areas of our region who may otherwise not have exposure to these opportunities. STEM Week is great kick-off to the many different STEM events throughout Central MA during the year. To read the full article regarding the Baker-Polito initiative, click here.